The Lombard Company is experienced in the area of commercial construction. With quick turnaround capabilities and careful attention to detail, we ensure your project is completed as scheduled and to your complete satisfaction. The Lombard Company would be happy to work with you as the general contractor on your next project and we are certain you will be more than satisfied with the results. This over $2,000,000 project involved major remodeling and upgrades throughout the store. The work included installing energy efficient equipment in the bakery, deli, meat and fish departments along with a frozen dairy case. There were also major improvements to the store lighting which created a more enjoyable shopping experience. 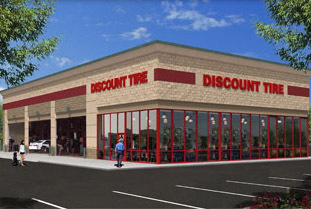 Discount Tire company is one of the largest tire retailers in the United States. Lombard’s reputation was one of the reasons they were selected for this project. The new 9736 square foot facility and associated site work involved much work and was completed during a tough Chicago winter. Despite the weather, the project was completed on schedule. 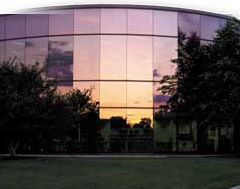 The Lombard Company constructed a new office and manufacturing facility for Andrew Corporation. The architectural precast and glass curtain wall facility overlooks a large lake that was reconfigured and restored as part of the project. The precast was manufactured and installed by The Lombard Company Architectural Precast Products Company. The scope of work included extensive civil work associated with the construction of new parking lots and access roads for the building. When the owner of Commuity Honda decided to build a new and larger building two miles west of his former location, he did an in depth search of the right contractors to bid on the project. The owners selected The Lombard Company for our reputation and many positive referrals. The new 30,000 square foot dealership is a contemporary design done in bold colors. 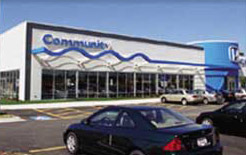 The Lombard Company has completed several additional projects for Community Honda since building the original structure. 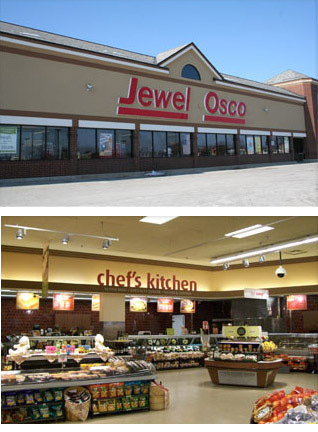 The Lombard Company completed extensive renovation work to the Dominick’s facility in Oswego. This project included Dominick’s new “lifestyle” decor concept. The work was divided in to many small phases to be completed at night over a twelve week time frame, allowing the store to remain open for business. The project was completed on time to the complete satisfaction of Dominick’s management.